HDFC Bank: Pawn your wife’s gold now — No documents needed! 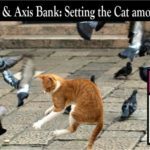 What we can see is, Axis Bank, while promoting its own credit card business, simultaneously markets multiple third-party brands. 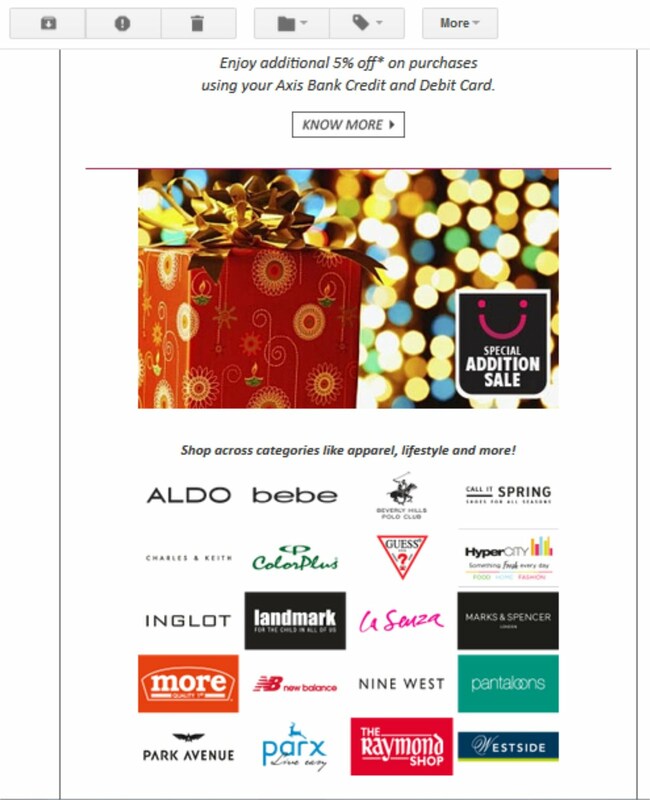 Such marketing emails violate Section 8 of the Banking Regulation Act, 1949 (Amended in 2013), which says: “Prohibition of trading… No banking company shall directly or indirectly deal in the buying or selling or bartering of goods… or engage in any trade, or buy, sell or barter goods for others…” Section 6 of the Act lists what kind of businesses banks may engage in. Promoting apparels, malls, superstores etc. is not permissible. 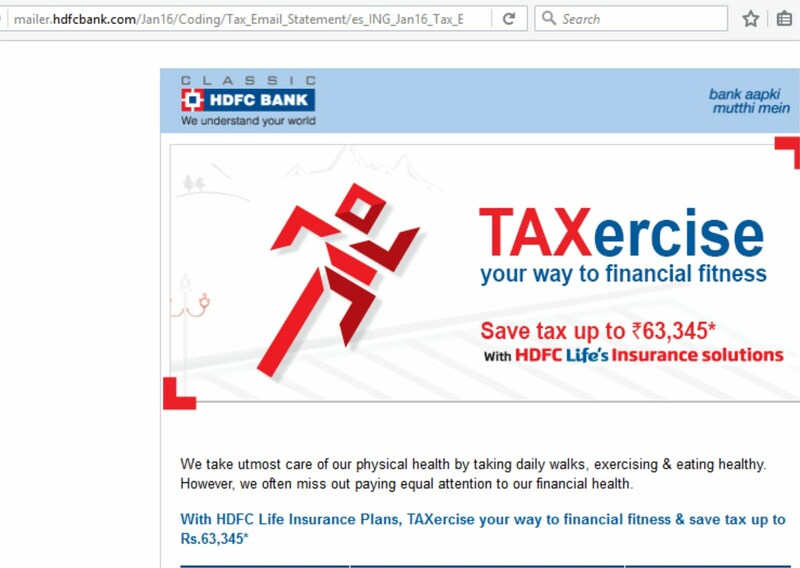 The bank’s customer feels helpless to click “Unsubscribe” or mark such emails as spam, as they are bundled with emailed accounts statements. Saying no to spam means saying no to email statements. 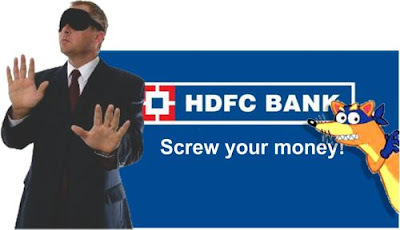 HDFC Bank branches are sales points for a lot of stuff. They surround you with posters, standees, pamphlets and young relationship managers chasing monthly targets. Ask anyone for your account balance — and you lay yourself wide open to HDFC’s hardsell. Give someone your customer id and you give him access to find out how much money you have in fixed deposits, and when they mature. 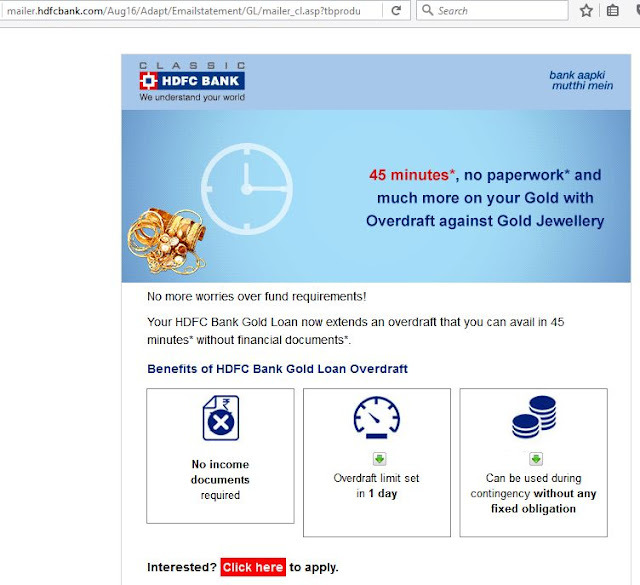 HDFC Bank markets Gold Loans as an impulse purchase. 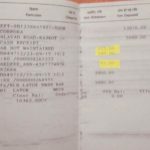 “45 minutes, no paperwork” is HDFC Bank’s promise. So if you are a market speculator with an itch to invest in some hot scrip, you need a few lakhs to fund this impulse purchase, and you need it now. 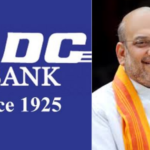 HDFC Bank says, “Psst, psst. Raid your wife’s jewelry cupboard and pawn her gold. WE WON’T ASK YOU ANY QUESTIONS! DO IT NOW. Since documentation is minimized, so are safeguards against abuse. Relationship managers and other para-banking employees can play mischief. There are sad stories unfolding all over the country in the name of gold loans.